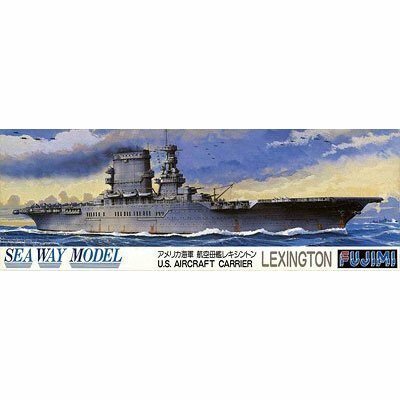 Fujimi 1/700 U.S. Aircraft Carrier Lexington" "
Product prices and availability are accurate as of 2019-04-11 11:40:07 EDT and are subject to change. Any price and availability information displayed on http://www.amazon.com/ at the time of purchase will apply to the purchase of this product. 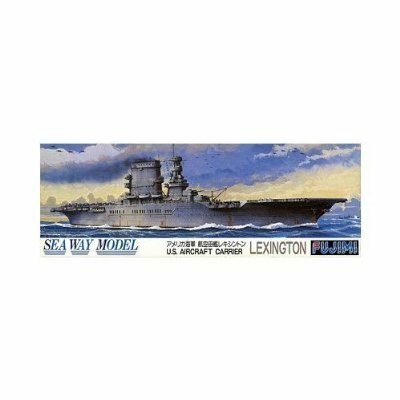 Detailed 1/700 scale model kit of the carrier USS Lexington (CV-16), an Essex-class aircraft carrier of the United States Navy. Nicknamed the "Blue Ghost" because of her dark blue exterior paint, the USS Lexington CV-16 was most notable for her services in the Pacific Theater during the Second World War. USS Lexington CV-16 is now a museum ship at Corpus Christi, Texas. Illustrated assembly guide (mostly Japanese with some English instructions) included.